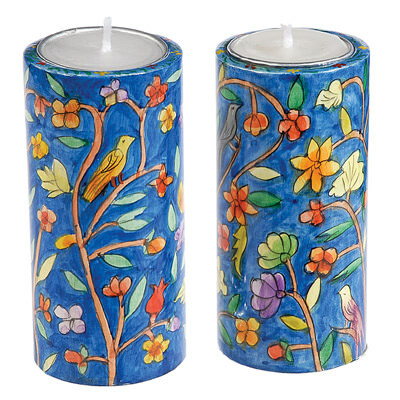 Hand Painted With A Floral Motif Using Acrylic Colors, A Beautiful Pair Of Shabbat Candleholders. These Candle Holders Use Tea-Lite Candles. 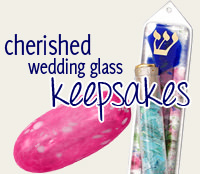 Designed By Yair Emanuel In Israel, They Will Make A Delightful Addition To Your Shabbat Table. The Candlesticks Are 4" Tall X 1.8" Round. These candlesticks are lovely. They are well crafted and truly artistic. 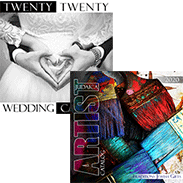 If you are looking for a set that add beauty to your Shabbat table, you have found them. I truly recommend.